Do you miss your dog when you're out all day? Here at TRAKZ with Valentine’s Day looming our thoughts have turned to our beloved pets and how much unconditional love they give us. You may have seen in the news Battersea Dogs and Cats Home have launched an exclusive event to bring you singletons out there closer to meeting your purrrrrfect partner. They are hosting a “Feline Lonely” rehoming event on the 14th February at their London Cattery over two sessions. For a £7 fee, including a glass of fizz you can meet lost and abandoned cats in need of adoption and a loving ‘forever’ home. ‘Our expert in-house 'matchmakers' (the Cat Rehoming team) will be on hand to offer advice and guidance, helping you find your dream cat companion. 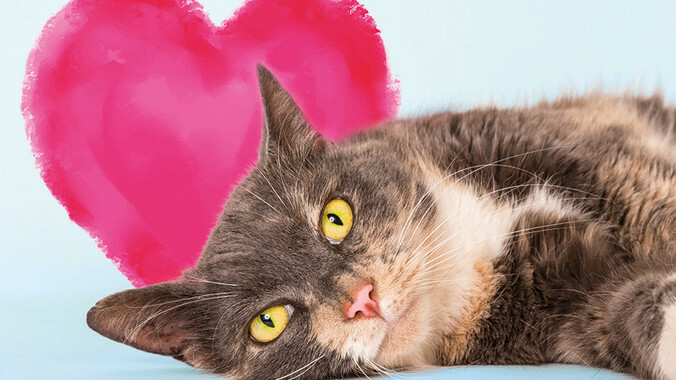 You can be a smitten kitten this Valentine's Day and help rehome one of the 3,500 abandoned cats we see arrive at our gates every year’. (www.battersea.org.uk/cats 05/02/2017). Trakz with its unique GPS tracker collar is committed to reducing the number of lost cats and lost dogs. TRAKZ wish Battersea Dogs and Cats Home every success in uniting lost and abandoned cats with much needed forever owners. So what makes your puss a purrrrrfect partner? 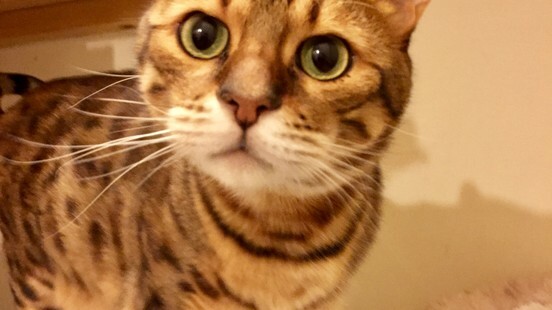 There is the old adage that, ‘Dogs have owners, cats have staff,’ and the belief that a cat can never truly be owned or completely domesticated by us humans. Clearly cats are more solitary animals than dogs, often living independently in the wild. Dogs moreover live in packs and are more sociable animals. Cats hunt mainly at night and are nocturnal whereas dogs more often sleep during the hours of darkness and are awake and hunt during daylight. Dogs as a species therefore fit more closely with a human lifestyle and scientists believe that this may account for our nation’s preference for dogs as pets. The UK pet population in 2015 was estimated at 8.5 million dog and 7.4 million cats. (RCPSA -rspca.org.uk/media/facts 05/02/2017). A dog’s purpose for being is to please its owner. A cat’s raison d'être seems to be to please itself. Dogs are just a small part of our lives but we are their whole life, cat’s are much more independent and appear less interested in forming meaningful human – feline relationships. However for many of us the bond between ourselves and our feline friends is clear. 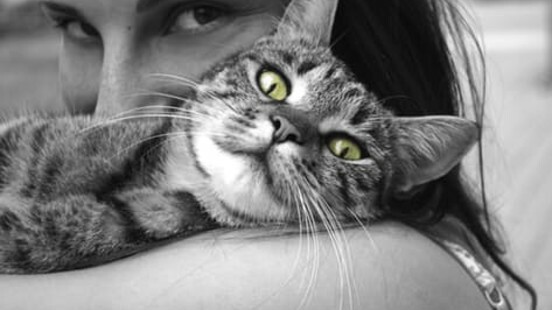 So what makes us love our cats? Scientists believe it is all down to personality types apparently, sensitive, creative, quiet, more neurotic individuals prefer cats and outgoing, law abiding extroverts are more suited to dogs. At TRAKZ HQ we’ve completed a quiz to see if our preferences for dogs and cats were linked to the five personality types suggested by Gosling and Sandy (2010) in a web based study of over 4,565 individuals monitoring their personality type and their personal preference for cats, dogs or both. Coren (2010) suggests however preference is also linked to an individual lifestyle choice - and concludes in his study of personality types and pets that if you own both a dog and a cat you are more likely to have personality traits linked with dog ownership (www.PsychologyToday.com, 17/02/2010)’. Have a go at our quiz on the link below to see if you're more puss than pooch. Either way on Valentine’s day whether it’s dog, cats or both that you’ll be sharing it with let’s say a huge THANK YOU to our pets for their unconditional love. As always don’t forget to share your results with us and any romantic Valentines pictures of you and your furry loved ones! – Stay safe out there! TRAKZ – keeping your pets SAFER, HEALTHIER & HAPPIER.